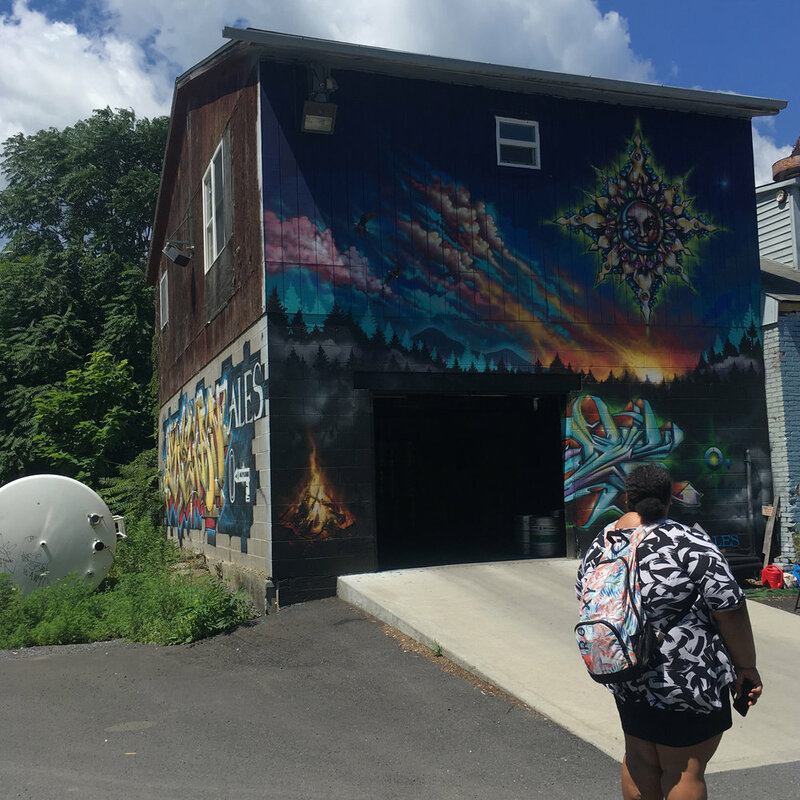 Yesterday my co workers and I went on a tour of the 0+ art murals in Kingston, with Mrs. G. We first went to Peoples Place the mural on there isn't the best so we didn't take much time looking at it. After we viewed the mural on Peoples Place we went over to Keegan Ales to scope out their murals, the first one I saw I connected with because it depicted a Native American on the wall I loved, loved , loved that mural! Then we saw a fish on another wall, it was like a sketch painted on a brick wall it was alright looking not the best in my opinion. there were two or three more by Keegan Ales but my favorite of all of them was the night sky scene because it was colorful. After we finished by Keegan Ales we went uptown to view the rest, there was to many to remember but they all were unique in there own way Kingston is becoming an art phenomenon!